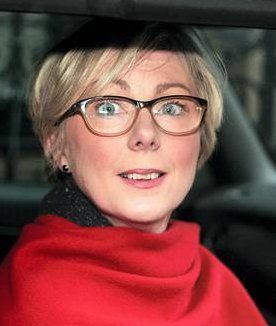 Well, hard on the heels of the Jobstown political show trial we have the Regina Doherty social media 'caution'. A reputable political tweeter and academic was questioned by the Guards and required to sign a statement. Even though she had not directly tweeted to Doherty, so personal harassment was not an issue, she was told her tweeted blog article on Doherty's financial misadventures was 'not liked' and that she should not tweet to or about Doherty again. Raised in the Dail by Ruth Coppinger. This case has "Sinister" written all over it. Catherine Kelly was stopped by two plain clothes gardai in the airport on her way to get a flight. She was told that if she didn't sign the statement they brought with them, she could not get her flight. Her blog was a mere statement of fact regarding Doherty's involvement with a bankruptcy. They were set on her as a result of a Minister's complaint to the Gardai. The Minister has made no attempt to use the law relating to defamation to have the blog removed. This latest event cannot even be calibrated on the SPECtrometer. Is it absolutely confirmed that she sent Gardaí to question a citizen journalist/blogger at the airport. I am in disbelief. Has she responded to comment on this? And there was I thinking DJT and KJU were the greatest threats to a free press.